With deep sadness we share the news of the sudden passing of Mark Fullerton, IAC #434474, of Calhoun, Georgia. Mark was a member of IAC 3 and frequent Contest Director for the Bear Creek Bash in Georgia. 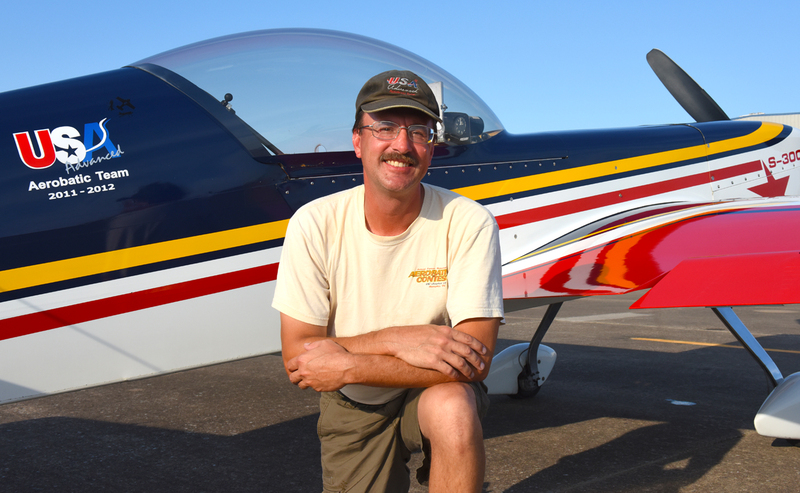 He started his aerobatic career with Michael Church of Sunrise Aviation. In recent years, he earned a place as a member of the 2014 and 2016 U.S. Advanced Aerobatic Teams. Again, he earned a spot on the 2018 U.S. Advanced Aerobatic Team as Alternate and subsequently was named Manager of the 2018 Team. As a contest director, he was always very active in insuring that Primary and Sportsman categories flew three flights minimum. His attention to detail will be missed by all. He was enthusiastic beyond measure when it came to aerobatics and volunteered ceaselessly to keep the enthusiasm going in others. He was that tireless volunteer, unsung but always helping. "At the IAC Chapter 3 contest in Rome, GA this year, Mark was conducting the briefing and wanted to recognize the efforts of one competitor who saved another’s life and how important we are to each other. He told us ‘if you come to these things for a trophy, you’re doing it wrong. It’s the people you meet and relationships you forge that last forever'." Mark was such a person. If you come for the glory, you're doing it wrong. Mark suffered a massive stroke while driving home to Georgia from a business engagement in Columbus, Ohio and never recovered. His passing leaves a huge hole in our aerobatic community. When the Team returns from world competition in Romania, there will be a memorial service and celebration of his life here on earth. The date has been set for Saturday, September 8 to take place at Mark's home airport, the Calhoun Airport (KCZL), Georgia. The memorial service will start at 11:00am. The plan is to have his friends and family share short stories about what Mark meant to them. When the stories wind down, Cody Zorn will give a short message. IAC Chapter 3 is creating a memory book for Mark's family to be presented at the service. If anyone wants to share stories, anecdotes, photos or other written thoughts in advance of the memorial service, you can email IAC3 [at] FLAviationCenter.com.